The Official Website of Musician, Pianist, Adjudicator, and Major Composer for the FJH Music Company, Kevin Costley. Featuring, "Forever Contemporary", a full-band gospel album released in December, 2016 by Lonny Satterfield, featuring Kevin Costley on piano, organ, and other instruments. CD's are sold and shipped from the office at - Calvary's Rock Church / 2661 S. Meridian / Wichita Kansas 67217. $10. Call at (316) 943-1155 to order. "It's Christmas! ", an album for the holidays. Find out how to get your own copy by clicking on, "Order CD's" on the left hand side of the page. 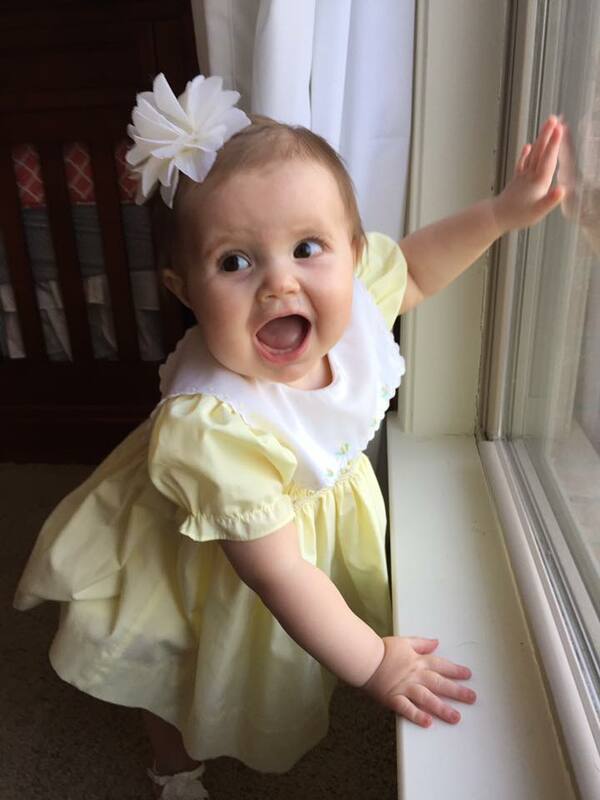 Picture of Caroline Mae, Kevin's Granddaughter. Taken April, 2017. Kevin and his twin, Keith. Can you guess which one is Kevin? Kevin conducting and teaching at Inspiration Point Fine Arts Colony Piano and String Camp in July, 2008. 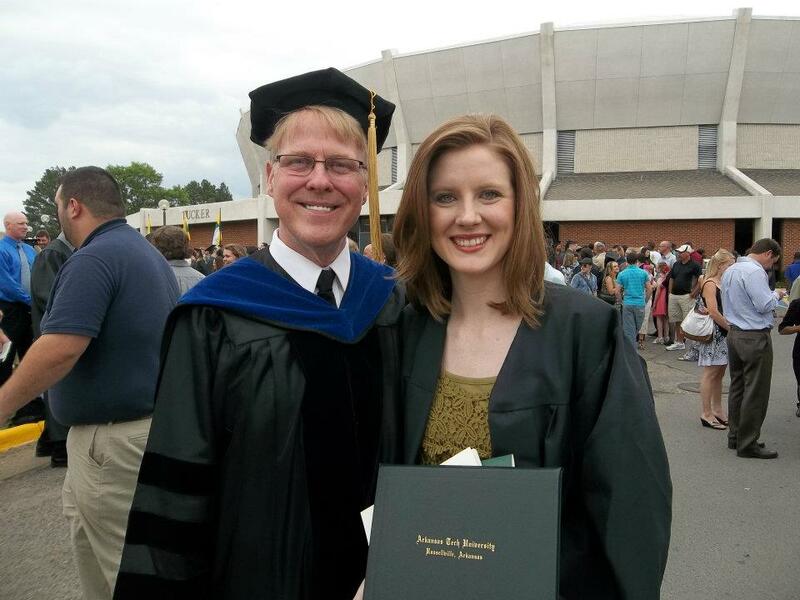 Kevin at his daughter's college graduation, where he had the honor of handing the diploma to her. May, 2012. Kevin and with his friend and editor, Dr. Helen Marlais at a Cedar Rapids, MI Piano camp. 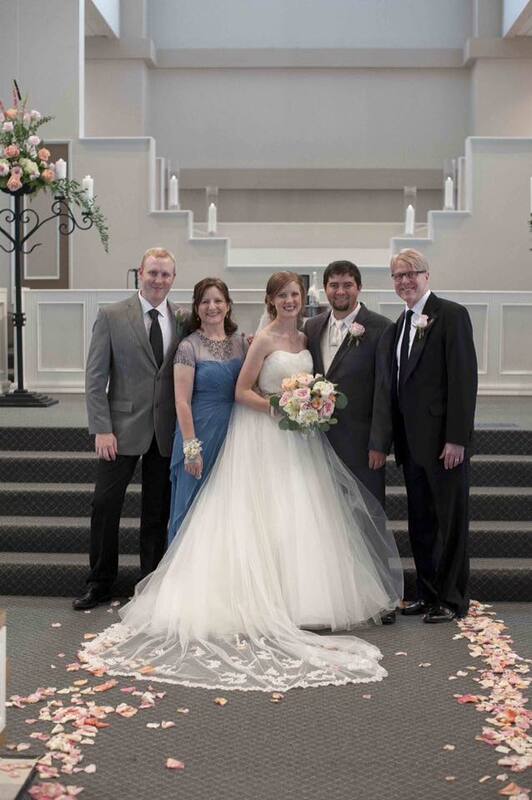 Kevin and family at his daughter's wedding. June, 2014. Kevin and long-time composer friend, Glenda Austin. Kevin with a group of young piano students at Inspiration Point Fine Arts Colony Piano and String Camp. July, 2012. Kevin walking his daughter down the aisle. June, 2014. Picture of Kevin, taken at his home on 12/31/2015. Kevin, at editor, Dr. Helen Marlais' house in Michigan. 2014. Kevin, on his Birthday in Michigan at Dr. Helen Marlais' house. July, 2014. Kevin at day one of the 'Composer of the Year' event at the Music Forum for Piano Teachers of Western New York. June, 2017. Kevin was honored to be chosen as Composer of the Year. Kevin, presenting at the 'Composer of the Year' event at the Music Forum for Piano Teachers of Western New York. June, 2017. Kevin was honored to be chosen as 'Composer of the Year' at the Music Forum for Piano Teachers of Western New York. June, 2017. Kevin, honored at the 'Composer of the Year' event at the Music Forum for Piano Teachers of Western New York. June, 2017. Kevin, listening to a student play one of his compositions at the 'Composer of the Year' event at the Music Forum for Piano Teachers of Western New York. June, 2017. Kevin with student, Sophie Anderson who played, “Daydreams” from Six Moods for Piano by Rocherolle at the IMTA Conference in Iowa City, Iowa. She is a student of Susan McGuire of Iowa City, Iowa. Dr. Costley was a clinician for the elementary and intermediate students at this conference, including around ninety piano teachers. Picture taken: June, 2018. Kevin with Samuel Kwok at the IMTA Conference in Iowa City, Iowa. Dr. Costley was a clinician for the elementary and intermediate students at this conference, including around ninety piano teachers. Picture taken: June, 2018. Samuel is the Director of Worship and Music Ministries at First United Methodist Church in Iowa City. He received his Graduate Certificate in Sacred Music at the University of Iowa and he is currently a candidate for a Doctor of Musical Arts degree. 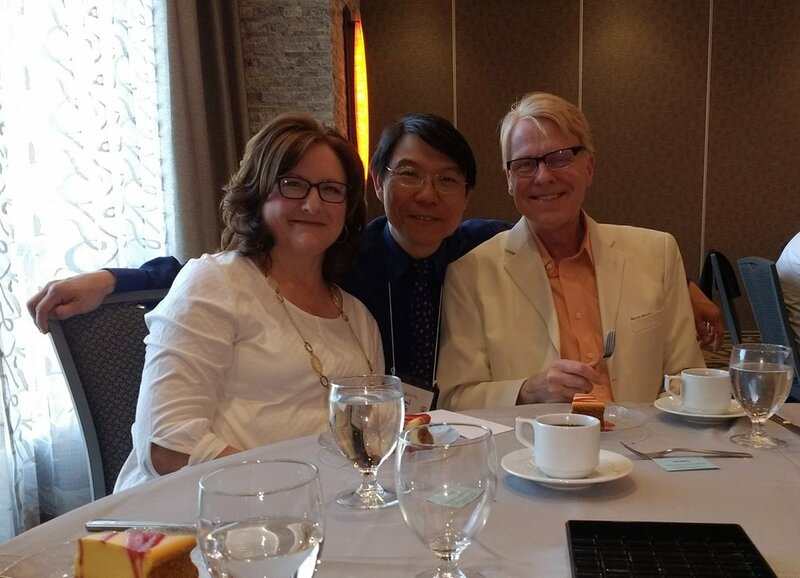 Kevin with his wife, Dana and Samuel Kwok at the IMTA Conference in Iowa City, Iowa. Dr. Costley was a clinician for the elementary and intermediate students at this conference, including around ninety piano teachers. Picture taken: June, 2018. Kevin with Amy Jo Wrobel, the IMTA Sales Advertising Editor, and Dr. Jason Sifford at the IMTA Conference, In Iowa City Iowa. Dr. Costley was a clinician for the elementary and intermediate students at this conference, including around ninety piano teachers. Picture taken: June 2018. Kevin with internationally acclaimed artist, Jack Dawson, who presented a painting of Kevin’s Grandmother’s country church to Kevin, outside of Carl Junction, Missouri. Kevin was delightfully shocked with such a wonderful honor. Picture taken: April, 2018. Kevin with piano teacher Cassie Carnahan at the Joplin Piano Teacher’s Association luncheon on April 15, 2018. Kevin and a student, Sam Lonneman, at the Springdale Piano Clinic. Taken in Springdale, Arkansas, May 2018. Kevin was an adjudicator for the event. Kevin playing piano as an instructor at Inspiration Point Piano and Spring Camp in Eureka Springs, Arkansas, August 2018. Kevin at Inspiration Point Piano and String Camp. A few of the teachers included are: Ellen Stevenson and Piano artist in residence: Starla Rayley.